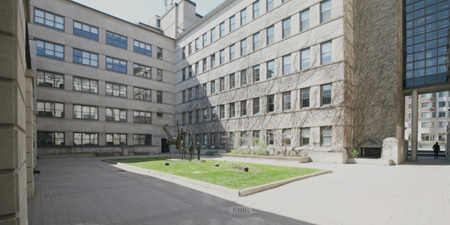 Walkway above courtyard and between both Simard and Hamelin building that gives access to an auditorium or a sunny space to wait or study in between classes. 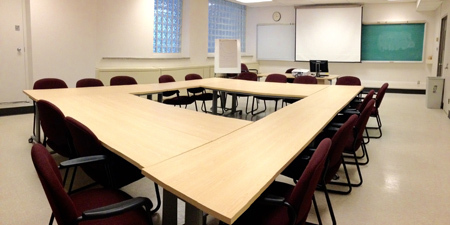 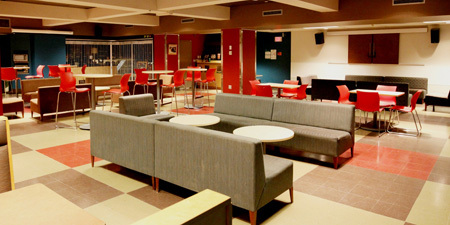 Event and student study space located on level 1 of Hamelin Hall. 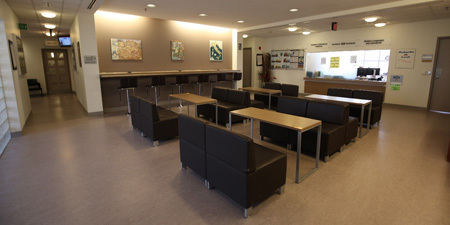 Event and student study space located in the lobby of Hamelin Hall. 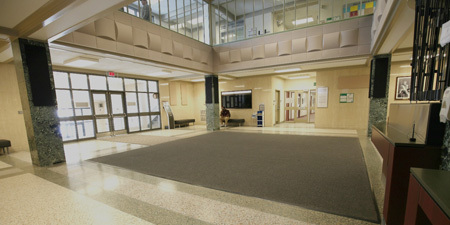 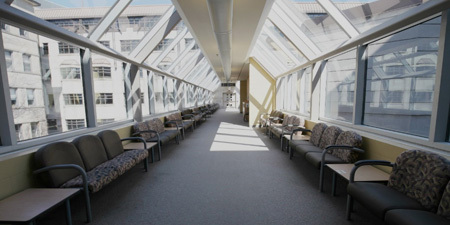 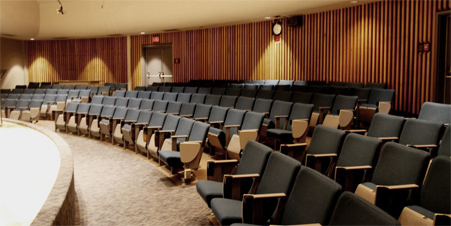 Event and lounge space located in the main lobby of Simard Hall. 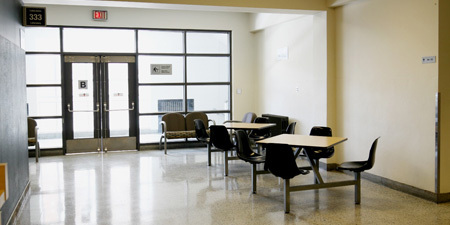 Study space located just outside the Linguistics Department Research Laboratory. 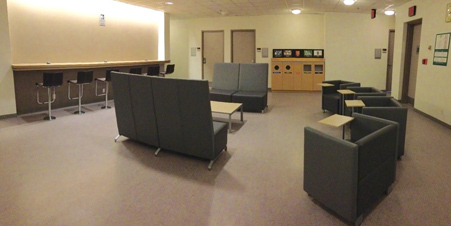 Study space located outside the 4th floor auditorium. 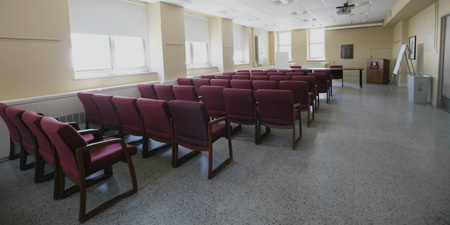 To reserve room, use outlook calendar r-lrr114 Room. 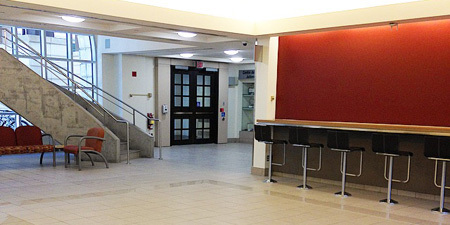 (access card lock will automatically unlock for the duration of booking). 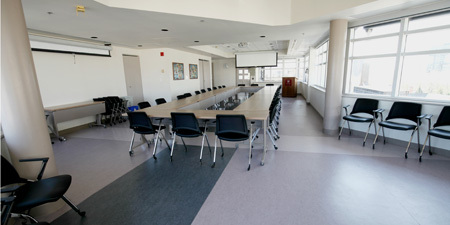 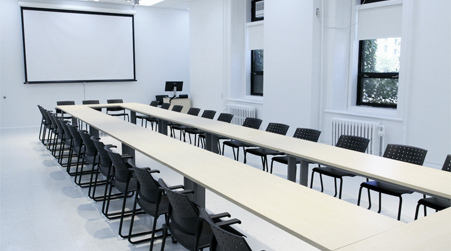 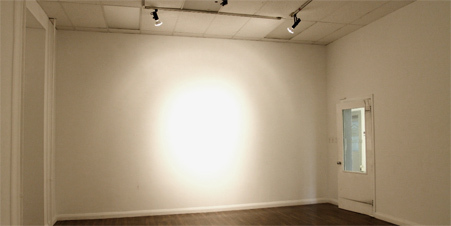 Multipurpose space used for special events. 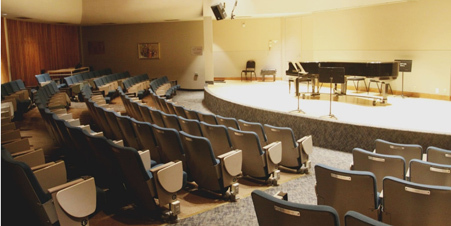 For upcoming performance information, please visit the Music Department website. 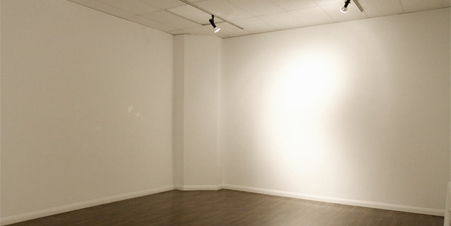 For more information on shows and artwork, please visit the Visual Arts Department website. 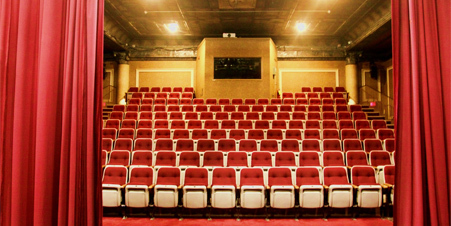 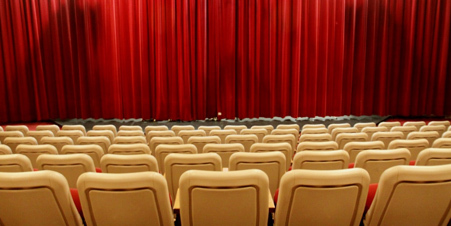 For show and ticket information, please visit the Department of Theatre website. 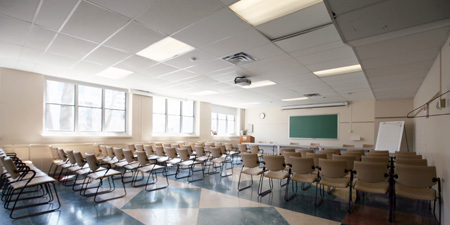 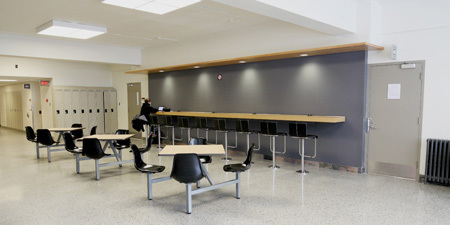 Study space in the Modern Languages department. 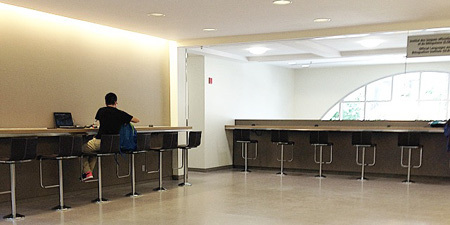 Study space in located in the English Department. 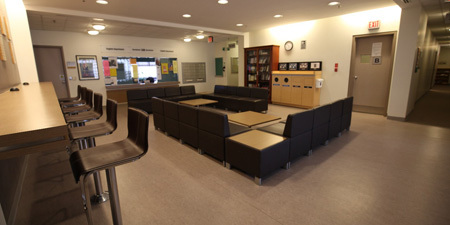 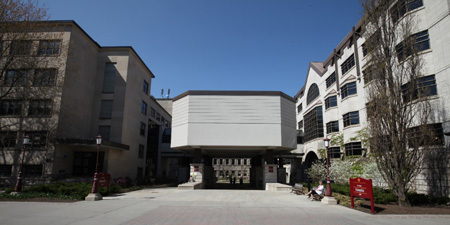 Student Lounge, coffee shop (Café Alternatif) and student association offices located in the basement of Simard.